These portable Apple Watch batteries let you leave your charging cable at home. Part of the experience of having an Apple Watch is the daily ritual of making sure it’s charged. Apple includes a charging cable, of course, but it’s on a 1-meter cord, which isn’t the most travel-friendly length and still limits where I can set up a charging station. So I’m really into the trend of portable Apple Watch chargers with built-in batteries. The power bricks themselves charge over micro-USB and then hold enough juice to recharge an Apple Watch multiple times, anywhere and everywhere. Several are on the market now, but of the four I’ve tested so far, I’m partial to these two. 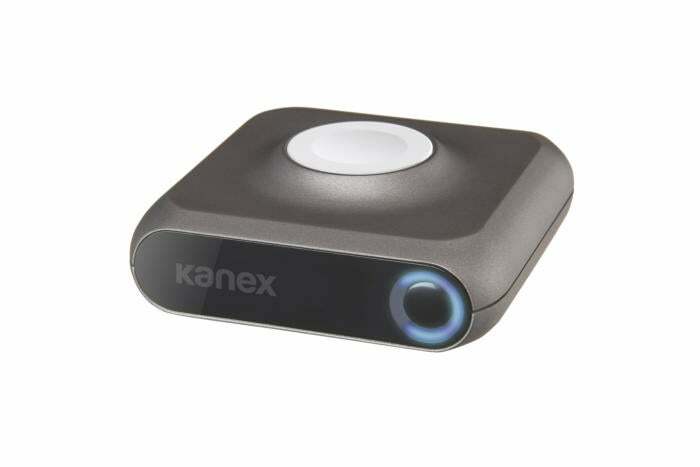 Kanex’s GoPower Watch ($100 list, but offered for less on Amazon) is just over 3 inches square by 1 inch high, a nice compact little brick, although it isn’t as small as some of its competitors. I don’t mind though, because it has a clear, easy-to-read LED indicator that shows how much charge is remaining, plus it has a USB port with 1-amp output for charging other devices, like your iPhone. And at a hair under 5 ounces it’s easy to pack when traveling. The 4000mAh battery is plenty big—my first-generation, 38mm Apple Watch only has a 205mAh battery inside. 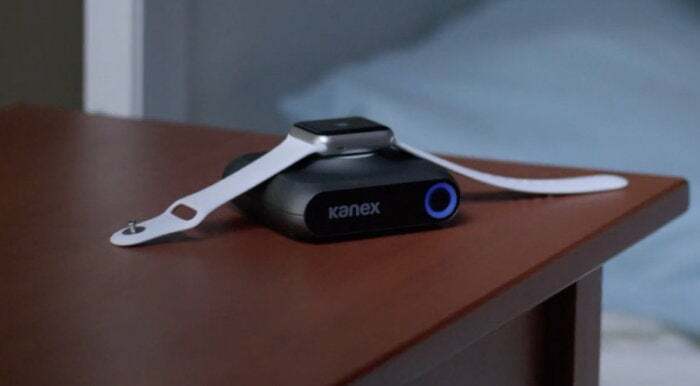 The GoPower Watch can charge it nightly for nearly a week—Kanex says “up to six times” before it needs to be recharged itself. The Apple Watch sits on top, and the charging pad is magnetic just like Apple’s charging cable, so the watch sticks to the pad just right. It works just as well with a band you can unfasten all the way and simply drape over the battery (like the Sport Band) as it does with a closed band like the Milanese Loop, which you can simply wrap around the charger as if it were your wrist. You do have to press the button on the side of the charger to start power flowing to the watch, and the button is surrounded by a ring of four blue LEDs that indicate how much battery capacity is left. The GoPower Watch charges over micro-USB, with a cable included. The generous capacity, extra USB port, and LED lights make this one the winner for me. I’ve been using it as my daily Apple Watch charging dock, and topping it off every five days or so—unless I happen to “borrow” some extra juice for my iPhone in the meantime. This little guy is so small, I’ve been keeping it in my backpack, so I’m ready to charge my Apple Watch anywhere. 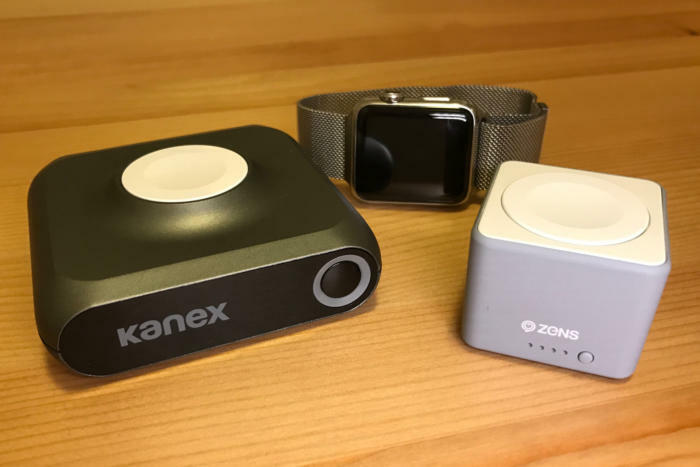 The Zens PowerBank for Apple Watch ($50, available on Amazon) has a smaller battery than the Kanex charger, and no USB port for charging other devices. But it’s downright pocket-sized at 1.5 by 1.5 inches square and 1 inch tall. It weighs 2.5 ounces. You’ll forget you’re carrying it. The LEDs light up when you press the button, to indicate the battery’s remaining capacity. The 1300mAh battery can charge an Apple Watch up to 3 times, and this charger also has four LEDs to show you how much battery capacity remains. 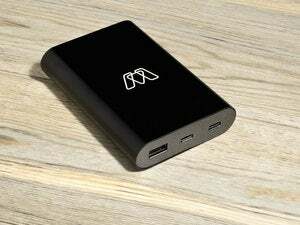 The device itself recharges over micro-USB, and a cable is included. I’ve used the PowerBank to charge my Apple Watch with both the Sport Band and the Milanese Loop. The Sport Band is a little easier since it just drapes across the top, but the Milanese Loop can be cinched tightly around the whole thing. And it’s possible to rest the PowerBank on its side so you can see the time on your Apple Watch while it’s charging, which Apple calls Nightstand mode. 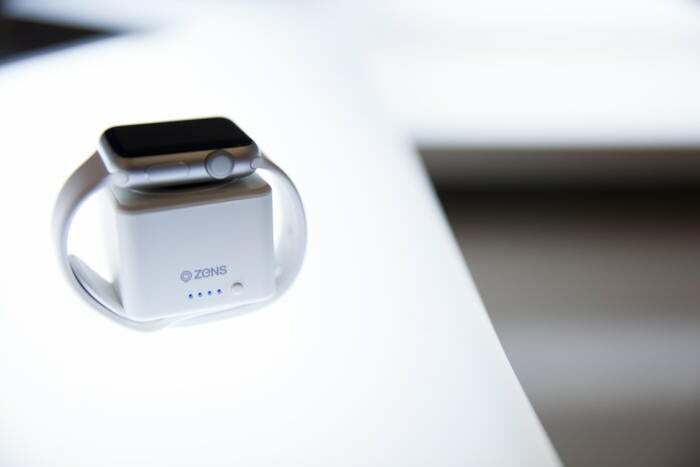 Zens sells a larger PowerBank for the Apple Watch and iPhone, which lists for $70 (available on Amazon) and contains a 4000mAh battery and a USB port for charging your phone and Apple Watch together. But I prefer Kanex’s version because it’s easier to tell how much power is left. Either of these solutions is preferable to toting the long charging cable on trips—I hate how it gets so tangled in my bag. That said, a spare Apple Watch charging cable (in 1-meter or 0.3-meter length) is $29, so keeping one in my suitcase and one on my nightstand would be cheaper. But I appreciate these for the cordless convenience and portability, and either would make an excellent gift for an Apple Watch owner. The GoPower Watch packs enough juice to keep your Apple Watch ticking almost a whole week. So small you can take it anywhere, the Zens PowerBank charges your Apple Watch up to three times before needing to be recharged itself.